This is Kolawole Olaniyi, he is a 400 level Law student of the University of Ado-Ekiti. He was born on the 26th of August 1993. Apart from being a lawyer in prospect, Niyi is smart, intelligent, jovial, and has a great sense of humor which makes him fun to be with. Niyi is also blessed with wonderful talents like playing the guitar, playing football and writing. He is a young man with dreams and aspirations just like every 23 year old. Since then, he has been bed ridden, dropped out of school and looks like a shadow of himself. 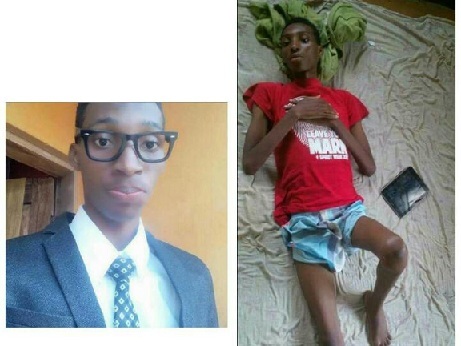 Niyi needs the sum of 3 million Naira for his chemotherapy treatments and dialysis to help save his liver and stop the cancer from spreading to other organs of his body. Please let’s not allow the dreams and aspirations of Niyi to die..
#SaveNiyi #saveadream #saveourfriend #Hcchs #HighClassExStudent #GreatUnad..